When Shogo Kemmoku, the reigning Mr. Gay Japan titleholder, took to the stage at this year’s finals in Tokyo on Sunday, March 31, no one was expecting what followed: In front of an audience of nearly 150 guests, Shogo surprised the crowd by proposing to his boyfriend Geoff right there onstage. Shogo, Mr. 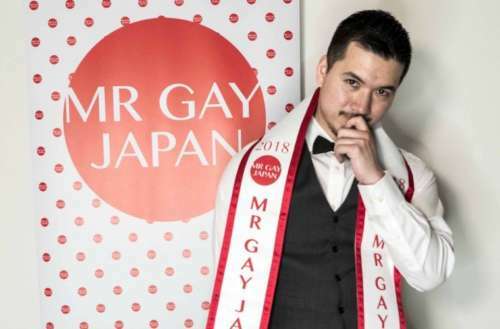 Gay Japan 2018 — the first holder of that title — took to the stage Sunday to give his final speech before a new contestant would take the title. But in addition to thanking all those who supported him throughout his reign, he also called Geoff, his boyfriend of eight years, onstage to introduce him to the crowd. “I cannot begin to imagine my life without you. And I’m gonna ask you one question,” went Shogo’s proposal, to uproarious cheers, applause and surprised gasps from the crowd. After getting down on one knee and offering up a ring, Geoff said yes! Shogo tells Hornet he had kept his decision to propose to Geoff at the Mr. 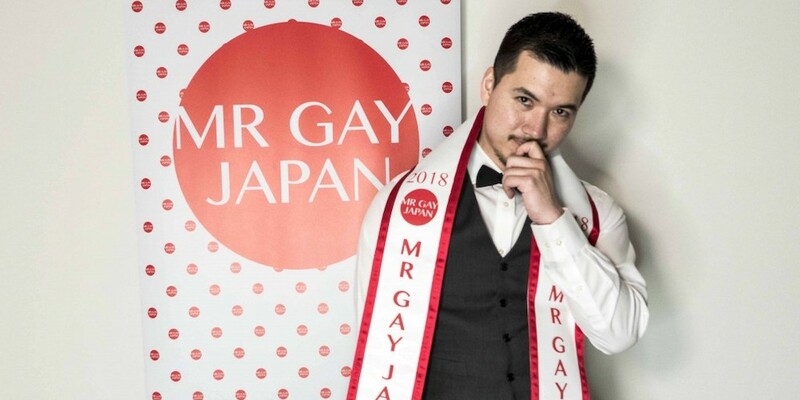 Gay Japan finals a surprise from everyone — even the Mr. Gay Japan team! “Thank god he said yes!” Shogo jokes. The venue of the Mr. 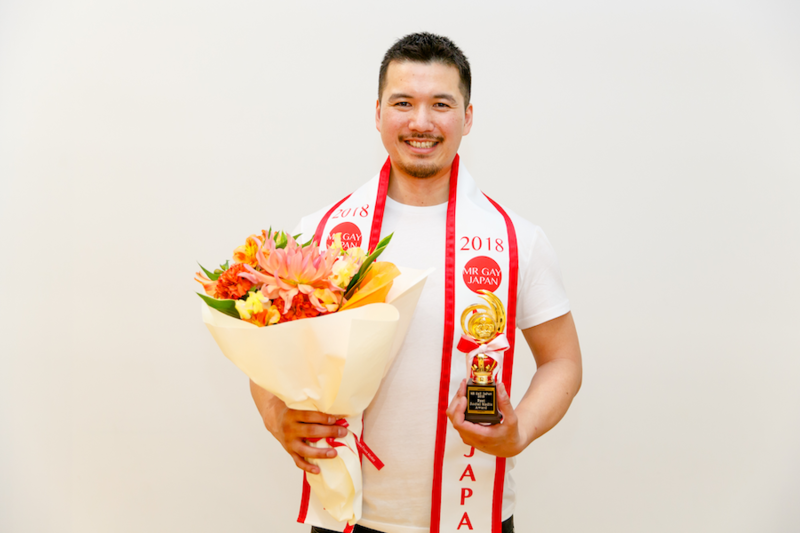 Gay Japan 2019 finals — and the date — was special for Shogo, who says it was the exact place he’d been awarded the title exactly one year prior. “The place was filled with love and support, my fiancé was there and I couldn’t think of any place better than that moment onstage,” he says. How adorable is this video of Mr. 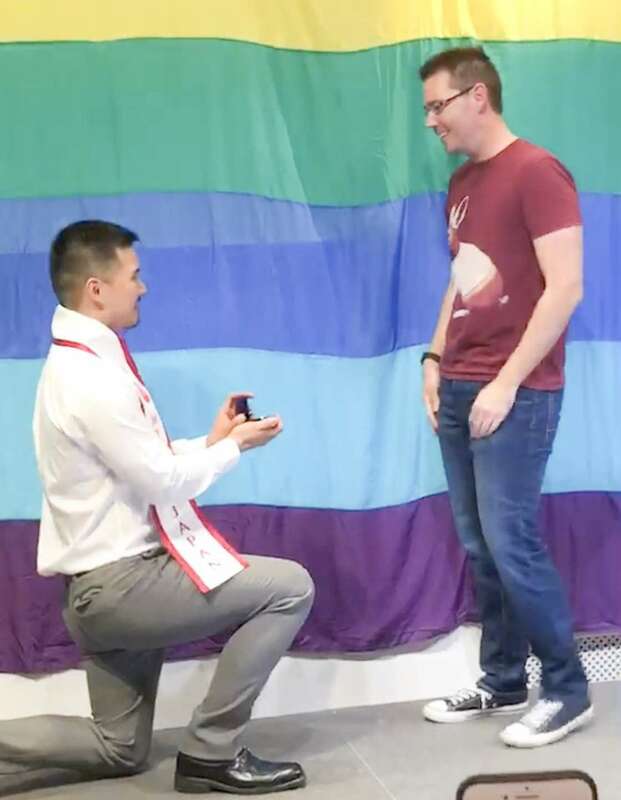 Gay Japan popping the question?